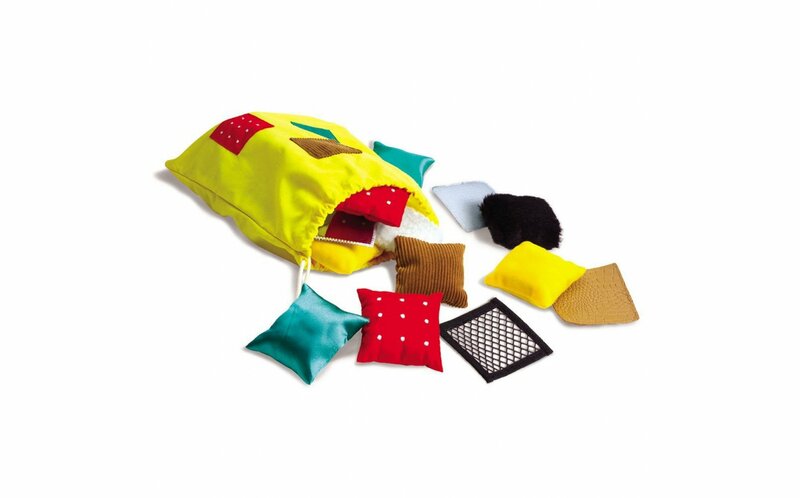 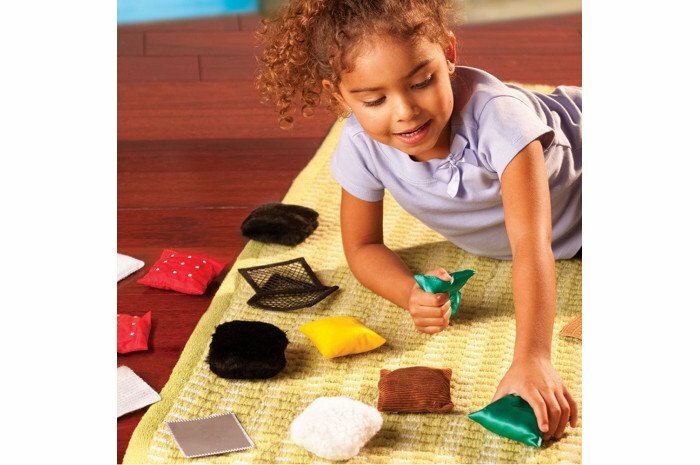 Ten different pairs of of textured squares in a drawstring bag to teach tactile awareness. Children with autism and SPD will enjoy the variety of textures in these 3" square pillows and patches. 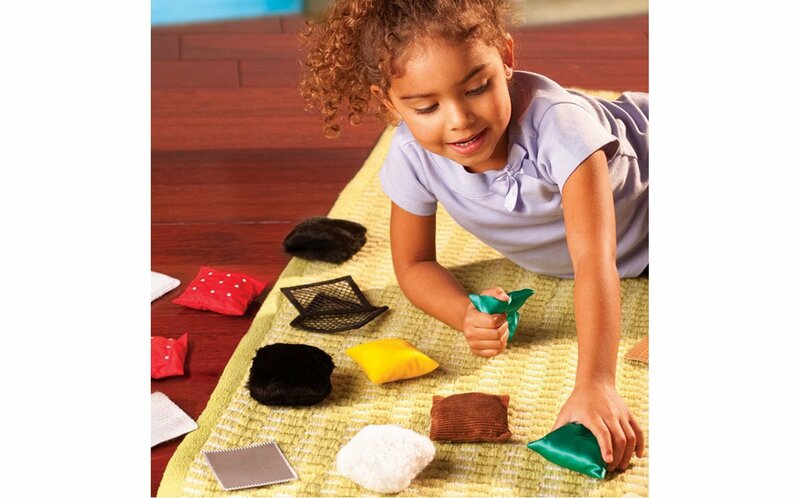 Great for practicing matching and vocabulary skills. 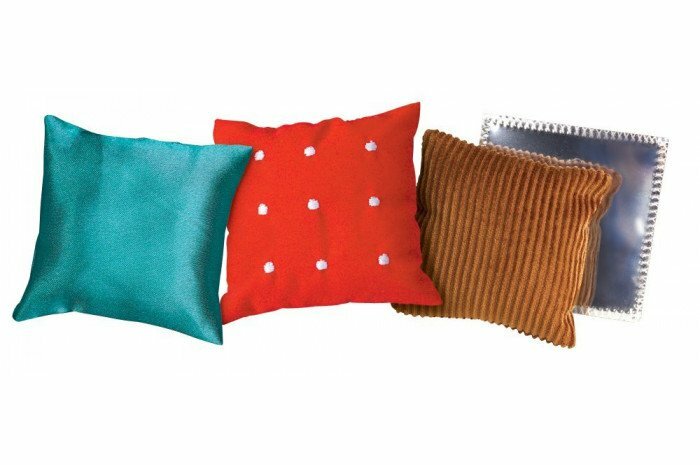 Set includes twenty pillows and patches in ten different textures.